Federal Contract Vehicles - Contact us for details. We employ best practices in our application development. MCA Computer Corporation is a trusted Federal Government, Small Business, Women-Owned IT supplier for over 28 years. MCA focuses on being an industry leader by being committed to excellence; offering quality, cost effective, computer solutions from design to delivery. 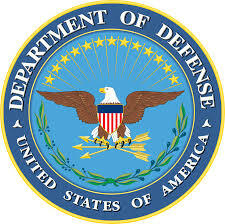 MCA provides the Department of Defense, Department of Homeland Security and other federal agencies with leading IT services including IT Strategy, mission applications, infrastructure and platform services, cloud solutions, service delivery and cybersecurity. We began in 1987 providing custom configured server and storage solutions for our Federal clients. We have been expanding our lineup of products and services every year. Some of the main fields our company provides our services is in the government and military, test and measurement, cyber-security and public-sector (local & state) divisions. .
MCA offers Professional Services - Call for details. 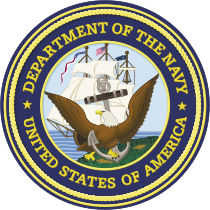 MCA is awarded a contract to supply HP Proliant equipment to the US Navy. MCA is hiring. New job opportunities for engineers and sales - Call for details. MCA uses over two decades of Federal experience to deliver a comprehensive range of IT solutions. With our mission-focused, consultative approach, we partner alongside Federal agencies and match our skill sets with their needs. We leverage our buying power with multiple OEMs to help optimize budget dollars, maximize operational efficiencies, and reduce the risks involved with buying sophisticated technology solutions. Our expert team of solutions architects—our top-level security clearances—help navigate the complex world of Federal IT by providing unmatched guidance and hands-on support. Using an ingrained sense of mission objectives and project requirements, they meticulously craft the right solution for every customer. MCA Computer Corporation is Small-Business, Women-Owned Federal Government supplier, providing custom hardware systems integration and value-add professional services. Our team of skilled engineers will customize your systems, workstation or storage, exactly the way you need.